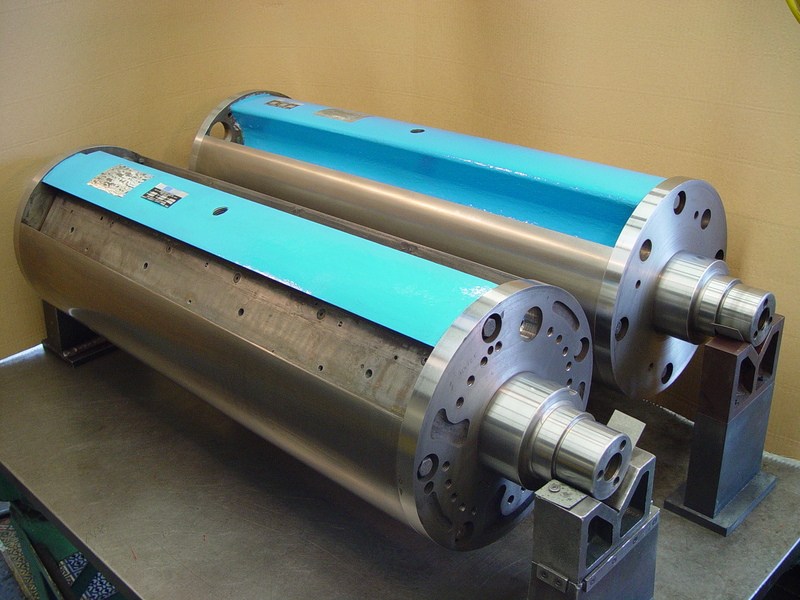 Brodie System, Inc. has a Cylinder Exchange Program that provides another option for our customers to reduce costly downtime. Cylinders of various cutoff lengths and widths are reconditioned and left oversize in diameter in Brodie System Stock. When a set of cylinders are required, a customer calls in the body diameters desired and the cylinders ground accordingly. This reduces the amount of time to complete an overhaul substantially. For emergency situations, this can be completed and ready to ship within 24 hours to anywhere in the world. Our specialty has always been emergency repairs with emergency response times. Our cylinder stock for the three piece market is large enough to accommodate a full press rebuild. We are starting a stock program in the two piece market as well. The stocked supply of cylinders reduces wait time immeasurably and ensures our customers the reliability that they can depend on. Our capability to recondition all makes and models of cylinders, bearing housings, copper rolls (new or rebuilt) and other various equipment insures customer satisfaction the first time.